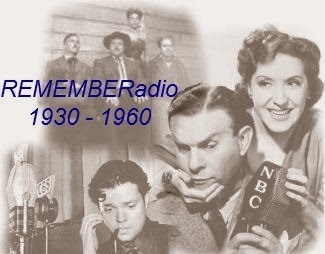 The Bell Telephone Hour (also known as The Telephone Hour) is a concert series which began April 29, 1940, on NBC Radio and was heard on NBC until June 30, 1958. Sponsored by Bell Telephone as the name implies, it showcased the best in classical and Broadway music, reaching eight to nine million listeners each week. It continued on television from 1959 to 1968. 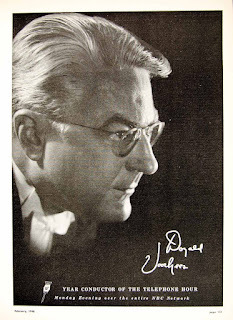 Throughout the program's run on both radio and television, the studio orchestra on the program was conducted by Donald Voorhees. Many in the series of broadcasts can be heard Sunday's on RadioThen.network. The series returned to radio in 1968-69 as Bell Telephone Hour Encores (Encores from the Bell Telephone Hour) featuring highlights and interviews from the original series. The Bell Telephone Hour Orchestra included the clarinetist and saxophonist Joe Allard, who is well known in sax history as a saxophone teacher at the Juilliard School and the New England Conservatory of Music. His list of students include Stan Getz, Eric Dolphy, Dave Liebman, Ricky Ford, Bob Hanlon, Dave Tofani, Mike Brecker, Roger Rosenberg, John Coltrane and Steve Grossman. Warner Anderson was the program's announcer, and Floyd Mack was the narrator on the original series. The ENCORES series was hosted by Voorhees and featured NBC staff announcer Mel Brandt.